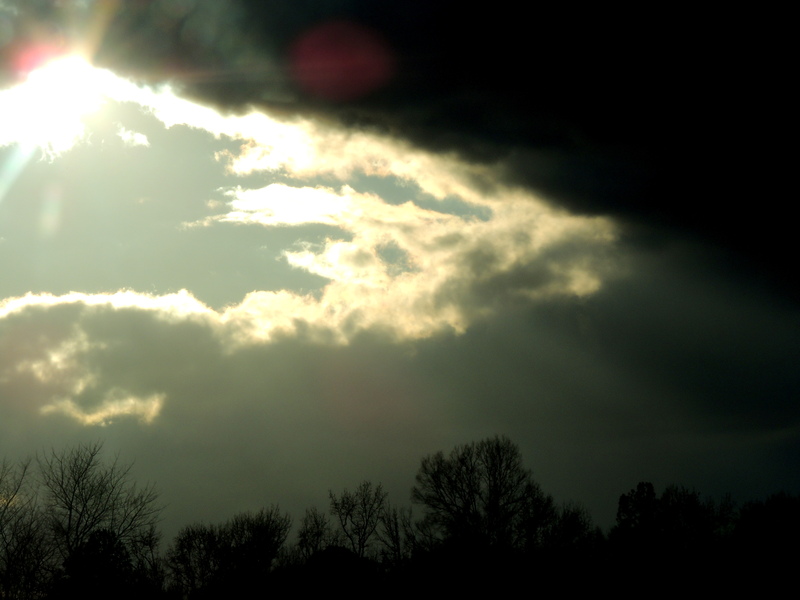 Light breaking through the dark grey of Winter storm clouds. Great imagery for this verse…John 1:5. “The Light shines in the darkness and the Darkness has not overcome it.” Love that verse.